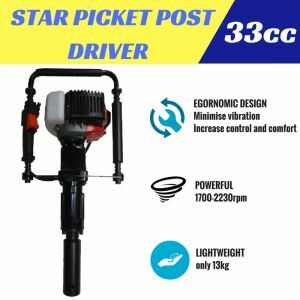 This petrol powered start picket and post driver is ideal for remote or rural farm work or anywhere a portable self-powered post driver required. 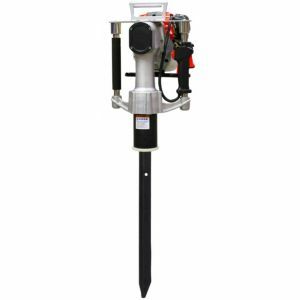 Equipped with a light weight, powerful 4 stroke engine and unique ergonomic design, this unit is a must have for fencing and post driving jobs. Powerful engine and anti vibration handle which allows to use all day without operator fatigue. 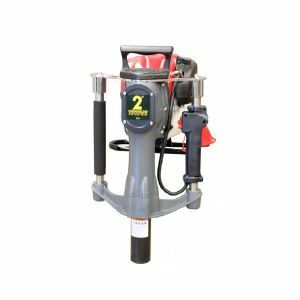 Supplied with 2x hardened post guides. Engine Type: air cooled, 4 stroke for simplicity. 79mm outer diameter (69mm inner diameter) x 165 mm length suitable for pipe, stakes and round posts. 65mm outer diameter (55mm inner diameter) x 165 mm length suitable for star posts. Shipping Dimensions: 84x44x52 cm x 31 kg.